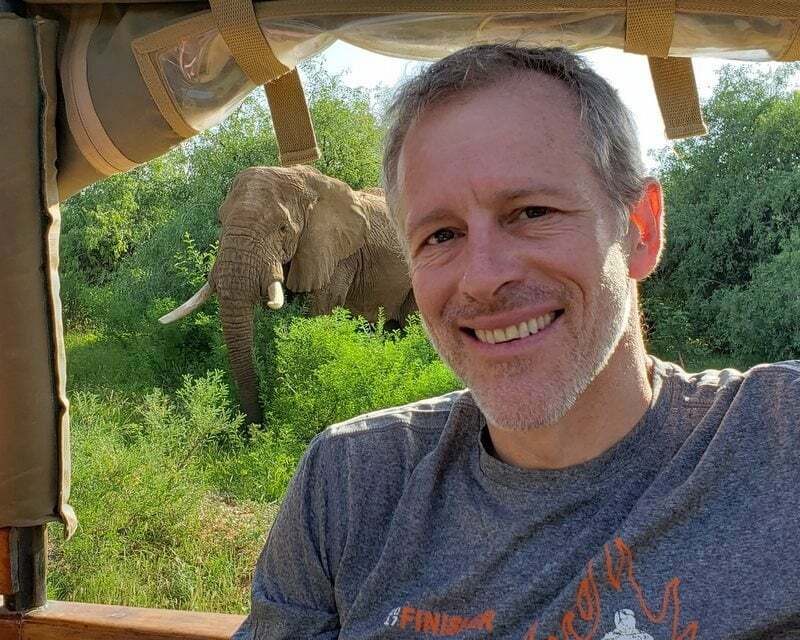 Whitney Tilson’s email to investors discussing him revealing the biggest prediction of his career at the Empire Investment Summit. All eyes are watching April 17th. That evening, I’ll be airing the biggest prediction of my career at the Empire Investment Summit. Thank you for registering! Here’s a bonus report I think you’ll enjoy. But by now, you might be wondering… Who am I, exactly? I could begin by telling you that I ran a hedge fund on Wall Street for 20 years that I grew from $1 million to $200 million… but I’d rather start at the beginning of my life… because the way I grew up has had a major impact on my career in finance. My parents were among the first couples to meet in the Peace Corps in 1962. They've dedicated their lives to international education, so I spent most of my childhood in Tanzania and Nicaragua. From sixth grade through high school, I lived in western Massachusetts on the campus of Northfield Mount Hermon School, where my dad was the academic dean. Then, I then attended Harvard University and Harvard Business School (HBS), earning high honors at both. "What does all this have to do with investing?" you might ask. Good question. But they were teachers and knew NOTHING about business or investing. In my freshman year at Harvard, I started working at some of the student-run businesses at Harvard Student Agencies, which piqued my interest in this area. And after sitting in on a class at Harvard Business School during my sophomore year, I knew I wanted to go there. But I was interested in being an entrepreneur, not an investor. I was so clueless that, years later, at HBS, I didn’t even go see Warren Buffett when he came to speak on campus! It wasn’t until a few years after business school, when I was nearly 30 and had finally paid off my business school loans and had the first $10,000 of savings in my life that I decided I needed to learn about investing. "Read everything Warren Buffett's ever written... and you can stop there. That's all you need to know." I took his advice – and was quickly hooked. For someone raised by penny-pinching parents, Buffett’s approach of searching for dollar bills I could buy for 50 cents really resonated with me. It was the late 1990s, at the tail end of a 17-year bull market, so it was a great time to own stocks. I still remember taking the $20,000 in my wife's retirement account and putting all of it into AOL stock in 1997. A year later, it was worth $120,000! I thought buying stocks was the greatest thing ever – and that I was really good at it. So not long after in November 1998, I decided to launch my own hedge fund. I opened on January 1, 1999 with $1.1 million from 10 friends and family, including my parents, my in-laws and Bill Ackman's father. My office consisted of a rickety Ikea desk and a laptop in the corner of my bedroom. In hindsight, I had no idea what I was doing. I was little more than a bull market genius. But I worked hard, learned fast and started putting up good results. I recognized the Internet bubble for what it was and sold my tech stocks, largely escaping the meltdown of the sector from 2000-2002, during which the Nasdaq fell 80%. In my first dozen years, I nearly tripled my investors' money in a flat market. My assets swelled to $200 million. Looking back... I was lucky. It was a good decade to be an investor. But I also created my own luck by working hard, becoming a learning machine and rapidly moving up the experience curve. Experience is so important – and you can only get it in two ways: Doing things yourself or learning from others. So I sat in on a class taught by legendary value investor Joel Greenblatt at Columbia Business School, read constantly, attended every Berkshire Hathaway annual meeting, and cultivated incredible mentors like Buffett, Munger, Greenblatt, Ackman, Klarman, and many others. I had a great run for nearly a dozen years, failed to keep up with this long bull market, and decided to close my funds and return capital in late 2017. I was enjoying teaching investing to the next generation of investors, but happened to speak with my old friend Porter Stansberry. He persuaded me to partner with him and his team at Stansberry Research to launch a new venture, Empire Financial Research. We aim to provide investment ideas, recommendations, warnings, commentary and detailed research to help you make a LOT more money… by sharing insights and information you’d likely never hear about on your own. I'm tremendously excited to share my full strategy with you on April 17th at 8 p.m. Eastern, along with my favorite retirement stock right now. Being the child of two Peace Corps volunteers, I’ve always believed in giving back. And that’s why I’m stepping forward on April 17th. What I learned managing money for 20 years on Wall Street is that anyone can radically improve their financial future with the right information. P.S. If you haven't done so yet, please sign up for our complimentary VIP reminder service here. You’ll receive a text message alert before the event begins, so you don’t forget to show up. As a benefit for becoming a VIP member, I’ve prepared a report on one of my favorite stocks today. You’ll get it completely FREE, just for signing up for this reminder service. Sign up here (free).